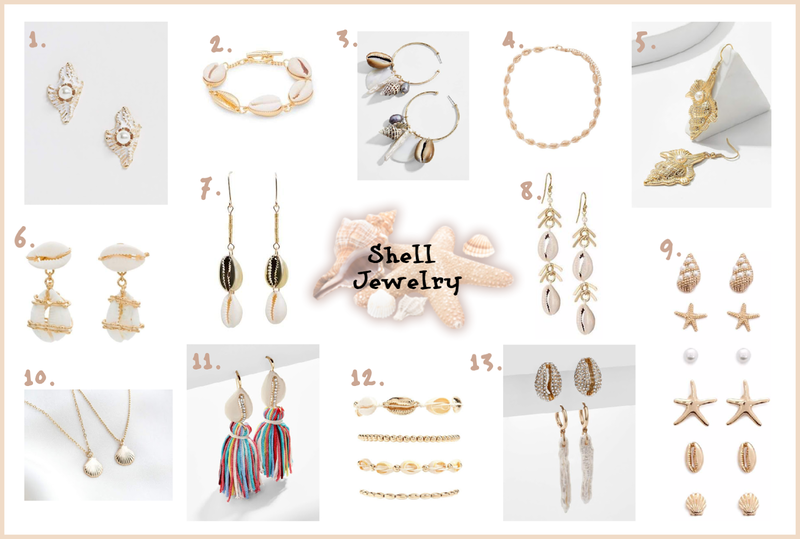 Shell Jewelry is one of the trends I am looking forward to wearing this Spring and Summer. These accessories started showing up for Spring/Summer 2018 and it’s definitely going to continue for the 2019 season. It’s one of those trends that, with a few pieces, you instantly feel like you are on a tropical vacation. I have put together several of my favorite pieces, that will be linked below, and I have created a Pinterest board for additional styling inspiration.